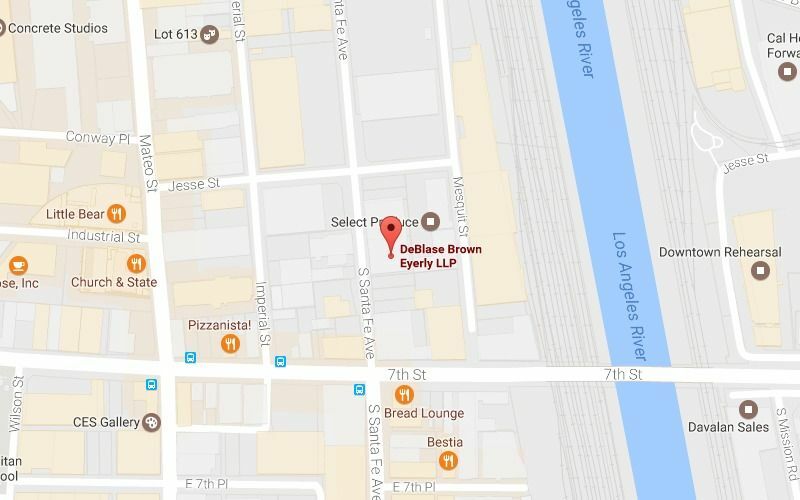 We are located in the Downtown Los Angeles Arts District. In 2012, we made the decision to depart from the traditional, stuffy, high rise space of a typical law office and created a place that works the way we like to work. If we're not in Court, you will typically find us in jeans, t-shirts and flip flops. We get more done that way. 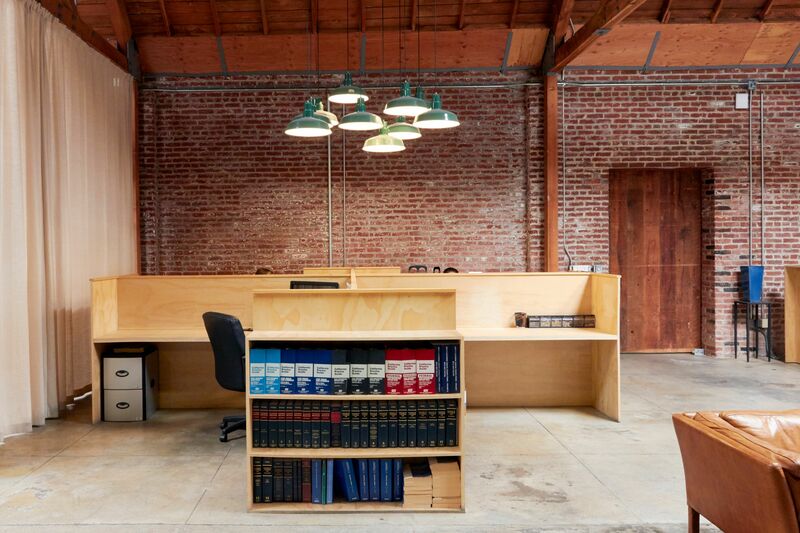 So we purchased a vintage, partially burned-down warehouse in the Arts District and created the office we wanted. Wide halls and tall, unfinished ceilings. 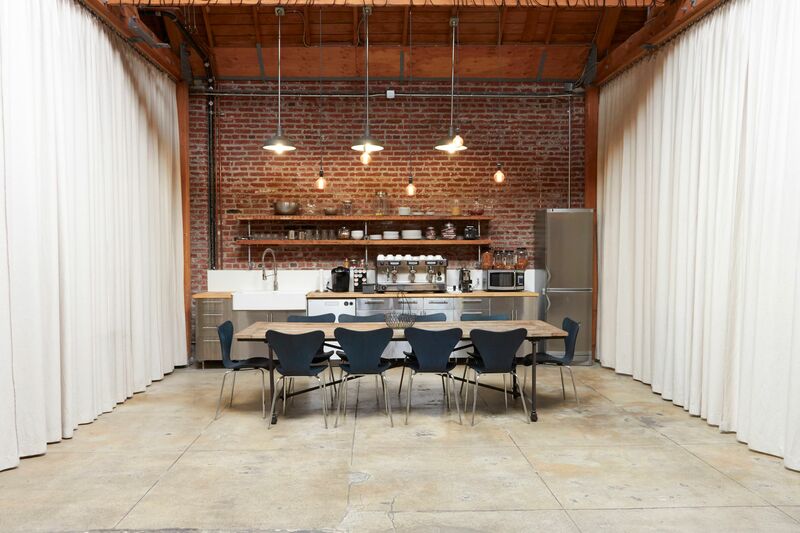 Polished cement floors, bow-truss roof, brick from the 1900s and wide, airy space. We like the unfinished look of vintage, industrial space. We like to work together on most everything so we made the entire office open and easy for us to sound-board ideas. We have the latest in fiber-optic broadband networking and phones which allows us to be as paperless an office as possible. And we love the Arts District! Who knew it was destined to be the hottest thing since sliced bread. (The Bread Lounge is, in fact, a block away.) The Arts District sits just east of Downtown Los Angeles. West of the Los Angeles River and east of Alameda Street, south of 1st Street and north of 8th Street. It is a well-defined jewel of the downtown area. A drive through the Arts will amaze the uninitiated - vintage buildings, coffee shops, hipsters (don't worry they don't bite), students, professionals, entrepreneurs, old spaces recycled into cool new uses.